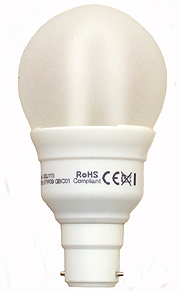 Standard light bulbs use up to around 4 times the power(electricity) that low energy bulbs use. 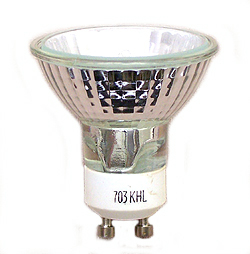 So if you change to low energy ones that will give a big saving on the electricity you use on lighting. 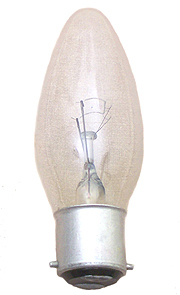 Low energy bulbs are more expensive to buy but last much much longer. 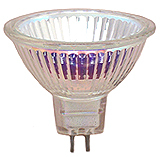 Low energy bulbs are basically mini fluorescent tubes, so the light you get from them is like a fluorescent tube. Some people don't like the light they make and also complain that they aren't as bright. These factors will vary with the cost and quality you choose. Try a few different types and see what you think. 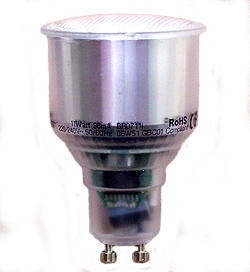 Another disadvantage is that you can't use most of them with dimmable switches, however the technology is moving fast and some are available. The cost saving you will make depends on several factors. 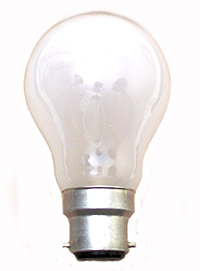 How much the bulbs cost, how long they last, how much less electricity they use, and how much time you use them per day. 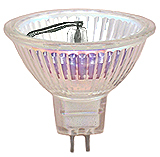 Generally you get what you pay for so check the bulb life versus cost. 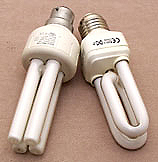 Below are a few examples of common bulbs compared with a low energy equivavlent. 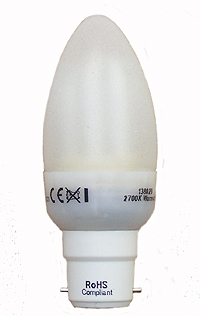 NB if you're replacing a standard bulb with a low energy one check that the new bulb will fit into your particular light fitting. Most will but some don't.